My wife and I (and my family for that matter) have been on a soup kick since late fall. Soup is so comforting. We have so many favorites. 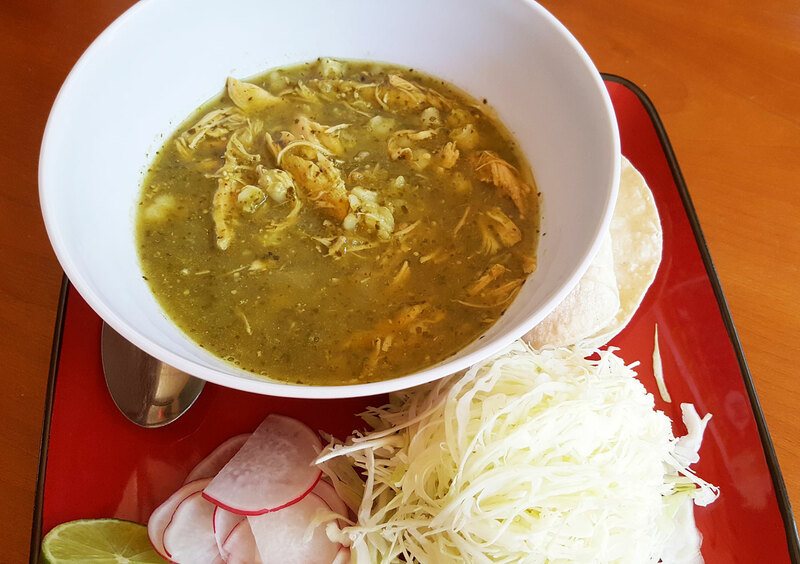 My wife’s go to soup is probably Chicken Tortilla Soup whereas mine is probably Vietnamese pho, or this (or any type) Mexican Posole Verde. The thing I love about posole is that you can go the red (rojo) route, or go green (verde) and that it is loaded with hominy. I love hominy. This soup is super easy to make, makes a bunch, and is packed full of comfort. Start by adding the chicken to a soup pot. Add the chicken stock, and 1 chopped onion. Next, preheat your oven to 425 degrees. To a baking sheet, add the remaining onion, tomatillos, garlic, jalapeno, and serrano chilies. Bake for about 30 minutes until everything is well roasted. Add these ingredients to a blender and blend until smooth. Once the chicken is cooked, remove the chicken from the stock. Let it cool until you can shred or chop. Your call on this one. Pour the chili blend into the soup pot, along with the drained hominy. Return the chicken back to the pot, give a good stir, and cook for about 30 minutes. Taste and season with salt if you desire. 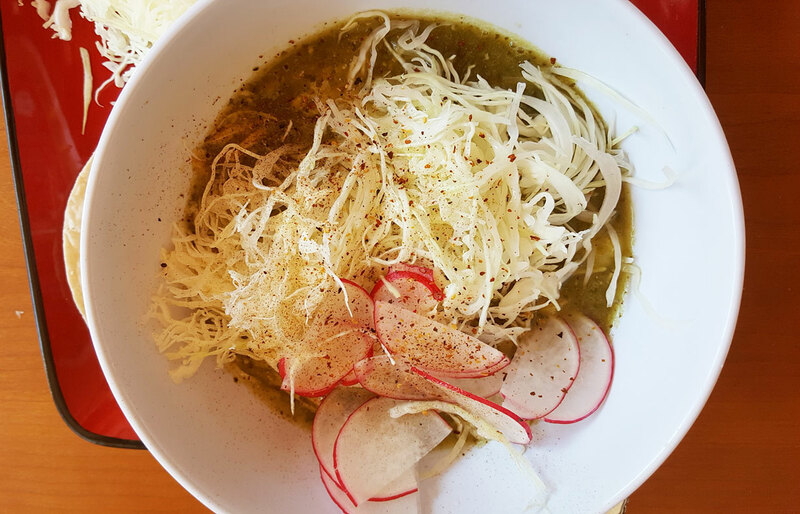 To serve, ladle a nice amount into a bowl and serve alongside warm tortillas, shredded cabbage, radish, and lime. Spoon in some of the sides, taking bites of warm tortillas. Repeat. Now I need to make another batch! I hope you enjoy.